H&M’s newest collaboration is finally here, and there’s so much to covet across the lineup. While we’ve known for a while what was on our shopping lists (thanks to the lookbook being release pre-launch), you’ll have to be quick to snap up the gorgeous moody floral pieces. Opting for romantic petals on black and maroon backdrops, the celebrity-loved designer has translated his vision for a mass audience. That also means tons of lace-detailed dresses for any upcoming affair on your calendar, as well as logo hoodies, graphic tees and playful cardigans, which are technically pieces from the men’s collection, but we see them as all-around crowd-pleasers. To shop some of the collection right now, keep scrolling for our gallery below—just be quick about it. 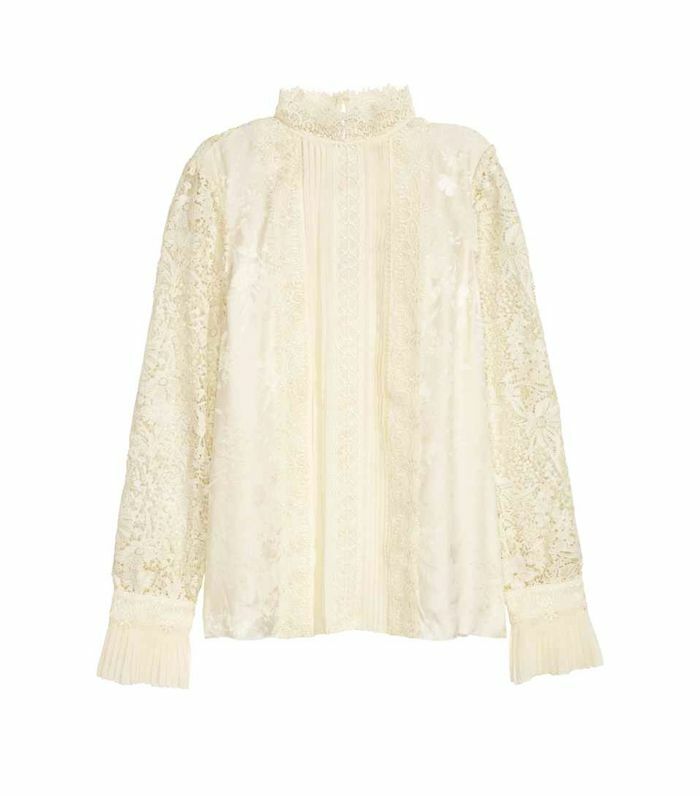 We can totally see Erdem mega fan Alexa Chung wearing this one. Want to just add a touch of Erdem to your outfit? Socks are the way to go. We’ve got this in our shopping basket already. Ideal for that wedding you’ve got coming up. Your work wardrobe just got extra chic. Wear with a white tee and platforms. Easy to wear and will go with plenty in your wardrobe.